When we got pregnant, we didn't worry about our sleep or our social life. Our main concern was our lifestyle : are we still gonna be able to keep traveling so much with a baby? Things do change when you have a baby indeed... It becomes even more fun! Noah was only 6 weeks old when he took a flight for the first time. After a 13 hours flight, we got stuck in Germany for 10 hours because of a snow storm, before taking two other flights to, more than 36 hours after departure, finally get to our destination. And you know what? Our baby was the one thing that helped us staying calm during all that mess. He looked so peaceful and happy on his baby carrier, he soothed us. One of the great things about babies is that they’re pretty easy. They won’t miss their friends or their toys. In fact, as long as you’re there -you, and your milk of course-, your baby'll be perfectly happy. Believe or not, there’s really no need to hesitate when it comes to traveling with an infant, even a newborn. The younger the baby, the easier it is to travel! If you're prepared and relaxed, you might even enjoy it! 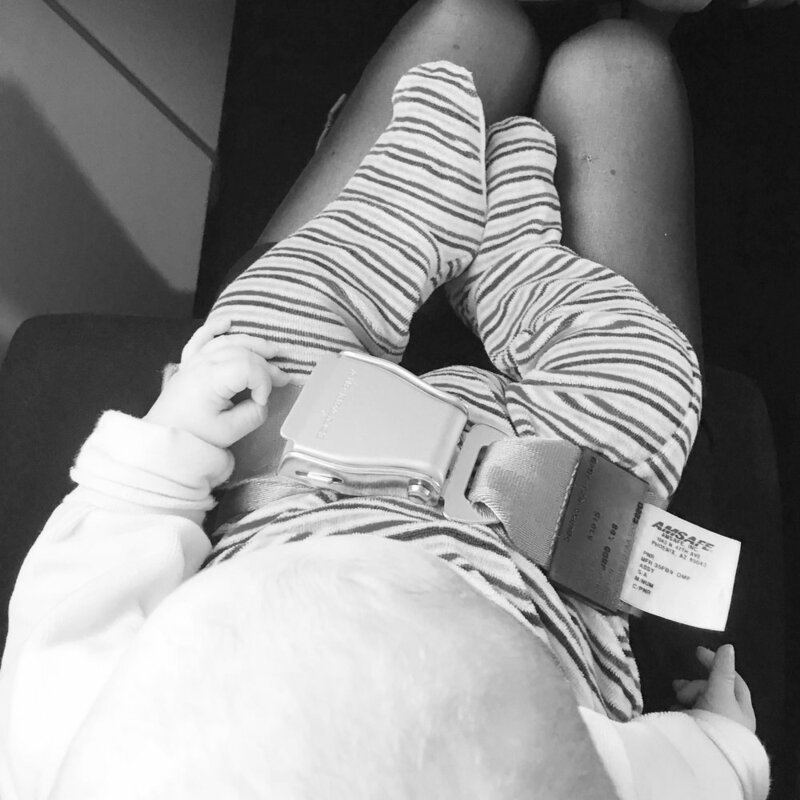 Discover 10 reasons why flying with a baby rocks! I mean, flying for free isn't something that will last forever. In a couple of years, baby will be paying child's fare, and that will make a huge difference on your travel budget. Enjoy the free flights while you can! You've probably got used to it during your pregnancy: no need to queue anymore! Get onboard before the crowd, so you can settle quietly before it gets too busy. Be ready to be treated like a VIP! Flying solo with a baby doesn't mean you're lonely -it's quite the opposite. During my flights back to Hong Kong, I've realized there were always someone to help me -either it's to hold a door or carry my bags. Besides the kind passengers, airport and airplane staff are there to help too. In Marseille, the security officers almost fought to decide who will carry Noah! Flying with a baby can be tiring and tough. Don’t make it tougher on yourself by shying away from assistance. Enjoy it! When you have a baby, you quickly realize you need a buffer for everything you do. At least 30 minutes -time for a feed and a change of nappy if needed. Same thing when you fly. So now forget about that time when you were always late, running to check-in counter right before they close. You get in the airport waaay too early. And that's good. You stop running. And you relaaax! Whether you get the seat with bassinet or not, the crew will always be happy to help you onboard. Don't hesitate to ask when you need to go to the restroom or just to rest for a minute. During our CDG-HKG flight, a flight attendant fell in love with Noah -until he threw up on her whole outfit. Or course, he did that in the middle of the flight, so she'd still have to support the sick smell for hours. Not cool Noah, NOT cool. Remember when you used to watch the clock ten times in an hour, feeling like time has stopped and the flight would never end? Well, this now belongs in the past. Now you won't even have enough time to finish your plate, watch your movie, sleep and take photos of your cute mini globe-trotter while he's asleep. Time flies when you have a baby. Even on a plane! If you used to be scared in plane, well... that's over. From now on, during landing, your main concern will be your baby's ears! As a matter of fact, babies need to swallow to release the cabin pressure during take-off and landing. Nursing, eating a snack or sucking on a pacifier often help. I remember our first flight -it was the first time Noah saw a pacifier in his life. It took him a while to get what it was, but at the end, he never had any ear pain. You're a parent, so you might lower your standards now. Your face is the least of your worries when you've got milk all over your clothes, and sometimes rests of some nappy incidents on your laps. BTW when you pack, think about anything that can help clean up a messy emergency. Bring more diapers and wipes than you think you’ll need, and a change of clothes for baby + for you! Babies sleep up to 18 hours a day. It should leave you enough time to rest! Enjoy flying with a baby, he's less likely to view travel as a disruption now than later on. A toddler probably is a complete different story -when they start scampering about. And, even worse: TALK!!! That's when traveling with kids become a far greater challenge (or not! we'll see that in a few months :)). Babies sleep when they sleep! It doesn’t really matter where you are. We arrived in France when Noah was 7 weeks old. The time difference didn't disturb him at all. When we got back to Hong Kong later when he was 3 months old, it took me about a short week to recover and get back to his routine. Eaaasy, baby. It all started when we told our friends and family back in France that we were expecting, last spring. "So when are you moving back to France?". Or -even better- "Oh, so you're done traveling now. You've enjoyed it for long enough anyway!". We've been overwhelmed by theories for months -and it's not over yet. Some questions are ridiculous, some annoying, but mostly, it's a lot of fun listening to all of that. 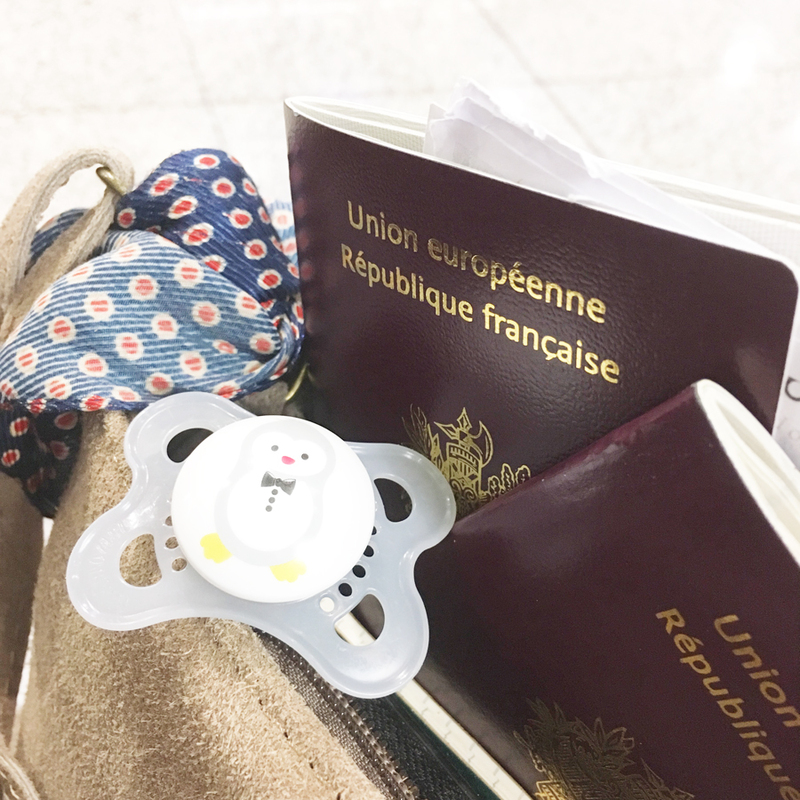 So here it is: having a baby abroad, the best of the worst we've heard! According to all these travelers, travel should change my life. -Come on, it's just a trip. I will be back in six months, and I'll take back my life riiight where I left it. At least, that's what I thought. Then, once arrived in New Zealand, people kept telling me it was “just the beginning“. The beginning of what? - Of a new perception of life. A new lifestyle. If you're asking yourself why in the world you'd leave friends, habits & comfort for the unknown, well, here's the answer: this is NOT just a trip. It changes everything. The way you see life. Your definition of happiness. Your priorities. Your dreams. Your future. In January 2014, we arrived in Hong Kong newly married, with absolutely no idea whatsoever on what to expect from this immense Four years later, we are still amazed by the 852.